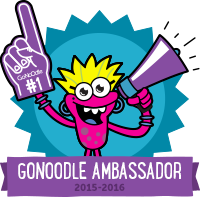 If you have followed my teaching journey then you know that GoNoodle has been so good to me. 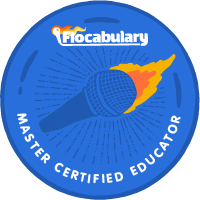 From visiting GoNoodle headquarters in Nashville to winning the GoNoodle makeover contest, this company has changed my teaching world and positively impacted the lives of my kiddos. I am kind of a fan girl/Noodle groupie. I don't know if that's a real thing yet, but I just turned it into one! 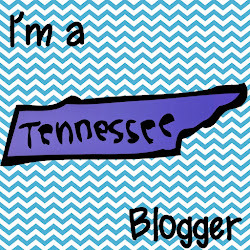 Come join in and be a Noodle groupie, too! 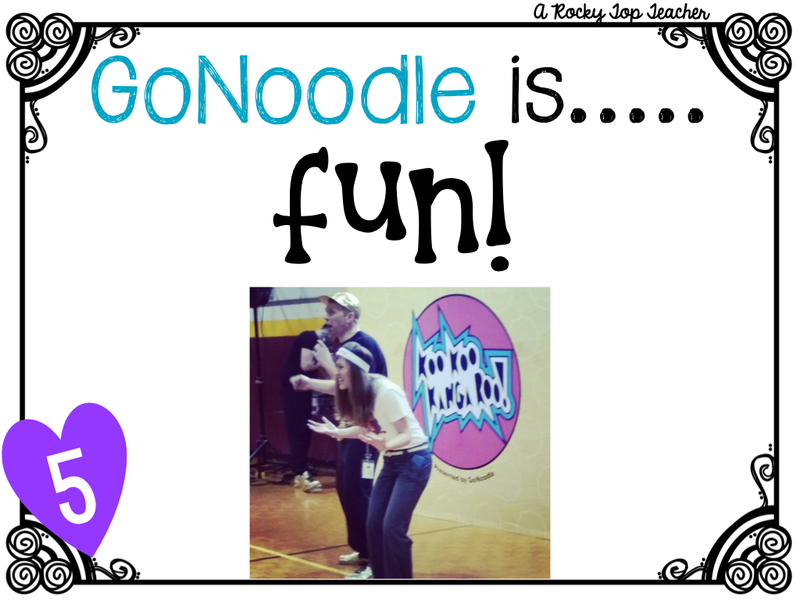 Since I am such a huge fan of all things GoNoodle, I thought that I would share with you my top 5 favorite reasons why I love using GoNoodle in 5th grade! I am pretty sure that this picture speaks for itself! 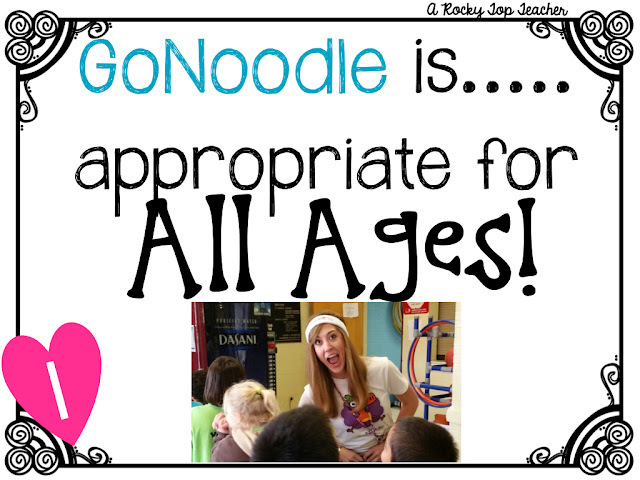 EVERY time that GoNoodle turns on in my classroom, I am right there dancing with the kiddos, trying out the yoga moves, singing along with Kidz Bop, or attempting to say Llama as fast as I can while keeping up with the movements as well. 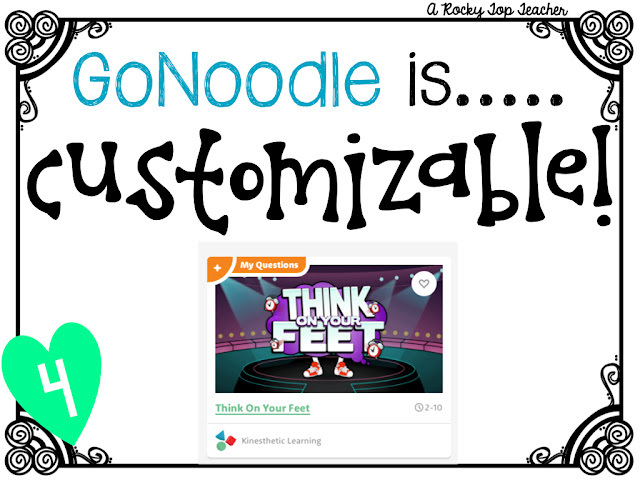 When I moved to 5th grade, I wondered how much I would still be able to use GoNoodle in the classroom. I am SOOO happy to say that it has been a smashing success. They BEG me to let them use GoNoodle when we transition between subject areas, get back from lunch, or need a minute to just take a breather. Seriously. I just can't even. What would we do with out Koo Koo Kangra Roo? My life would be incomplete. We use the jelly fish handshake, sing Get Loose, and celebrate students' birthdays with Birthday Hooray. 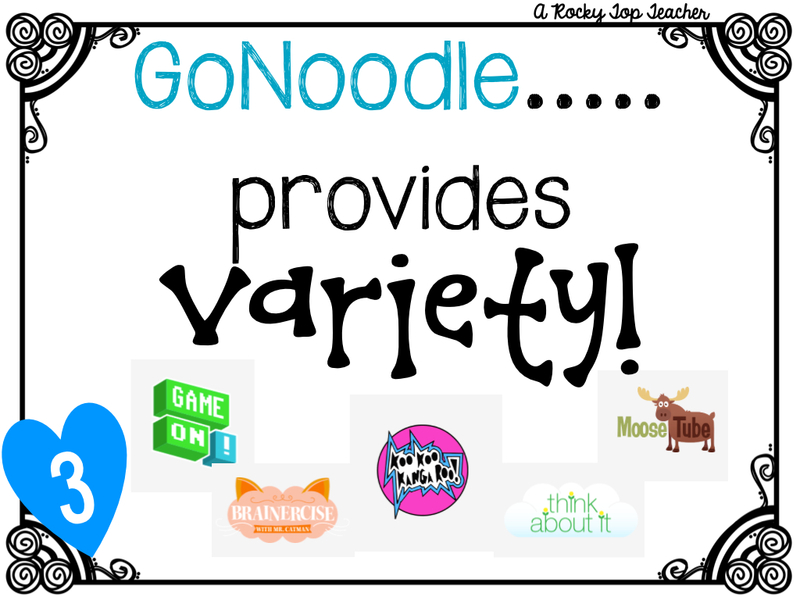 I love that GoNoodle is not just focused on one type of brain break. They offer kinesthetic learning breaks, guided dancing, coordination, calming activities, free movement, and exercise activities. On an average day, we will start out our morning with a Think About It brain break. We will use Peanut Butter in a Cup from MooseTube to get us pumped up for the day, dance after lunch to Kidz Bop or Koo Koo Kanga Roo and end our day with yoga. The students use the gaming activities to review or practice classroom skills with questions that I have created and added to the game. Their favorite is Think On Your Feet. I love that you can upload your own questions into several of the games. It makes the learning exciting and relevant! Need to review vocabulary words or parts of speech? Create a quick set of questions and upload them to one of the many brain breaks! Students will LOVE it! You can also share the questions that you make with others! Life should be fun. Learning should be fun. Classrooms should be full of FUN! 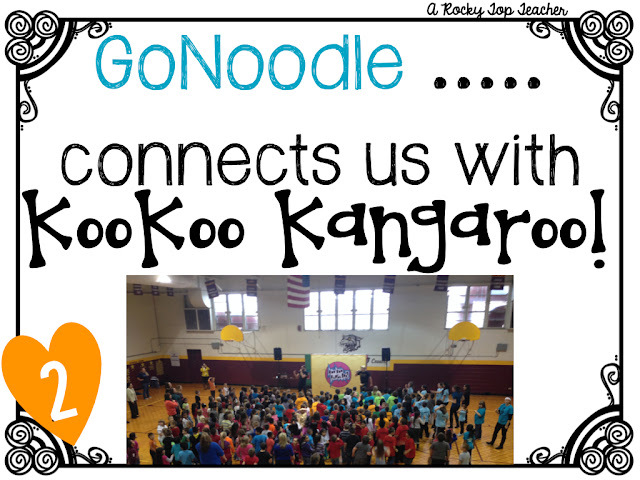 Participating in GoNoodle brain breaks throughout the day is a great opportunity for me to relax and bond with my students in a unique way. So...are you a GoNoodler? If not, click here and go sign up NOW! It is FREE! You seriously cannot pass that up. Your students can even create accounts at home! I will be back on the 12th to announce a winner! In the meantime, you can visit the GoNoodle Shop and grab some of their awesome swag with this special discount! Just use BTSwithGoNoodle to get %15 off your purchase. ***Don't forget to go to GoNoodle's Blog to find the other 100 teacher bloggers who are participating in the Back to School Blitz! I use it as a time out from our seat work! Students need to get up and move! My Kinder Crew LOVES GoNoodle! I will be implementing the birthday one this year! I didn't even realize there was a special birthday one! My class LOVES go noddle!! The indoor recess has been a life saver to us esp. last winter when we were inside almost every day! 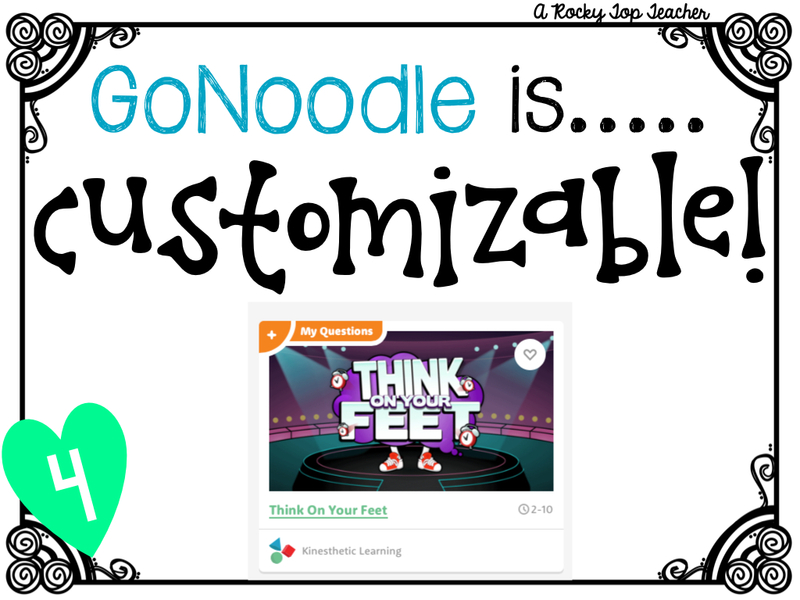 I use GoNoodle for transitions and brain breaks! I use GoNoodle to get my kiddos up and moving and as a reward for hard work! I use Go Noodle to get my students up and moving during that afternoon slump! I also let the top DoJo points person pick which video we do. I especially love using Go Noodle when we have indoor recess. Kids need to move and burn that energy! My 5th graders love Koo Koo Kangaroo! We love the birthday song to celebrate birthdays! I plan on using it during my extra long math classes for my kiddos! getting the wiggles out with my super squirrely class! I plan to use this to give breaks between long lessons and blocks! 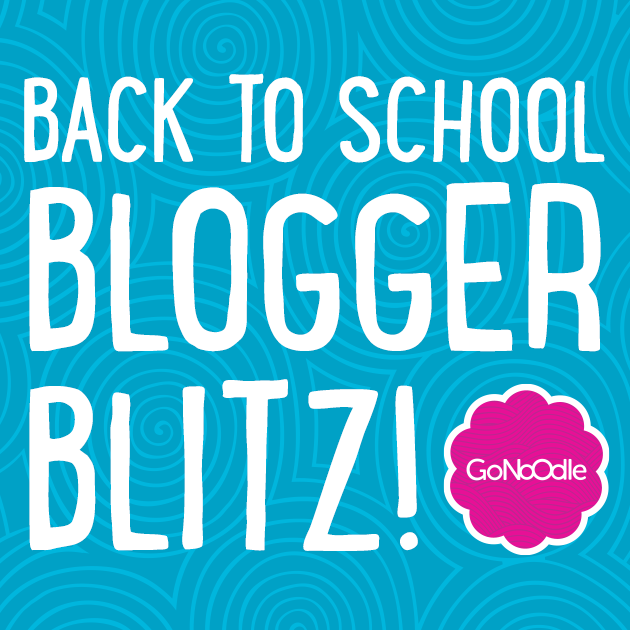 I am OBSESSED with gonoodle and so are my kids!! I had no idea about the loading of ? 's though for review or vocab!! Thanks for sharing! !